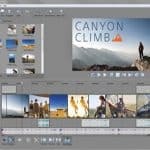 The latest version of Sony’s consumer video-editing software upgrade, addressed the usability concerns with this new version you can import video, audio, and still images from disk, cameras, or camcorders. When I plugged in a USB video camera, no AutoPlay option was added for Vegas, but clicking the file icon let me import as though it were any other file location. 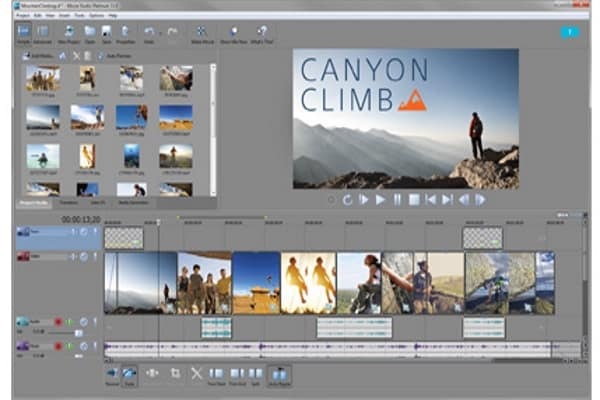 The folder browser didn’t recognize Windows 7 Libraries, instead making me navigate down to the actual folders containing the media..
Vegas Platinum can now edit footage shot with 3D cameras such as the Fujifilm Finepix Real 3D W3 or the Panasonic HDC-SD90 with its optional 3D lens. It’s all pretty straightforward, with 3D previews either as a red/cyan anaglyph or via a monitor that supports Nvidia 3D Vision or has interlaced polarised lines..
Vegas Movie Studio comes with a great selection of effects, not only for movies and photos but for music as well. 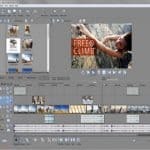 There are more than 350 video effects and more than 200 transitions, plus it comes with 360 soundtracks. The soundtracks are fairly unique to this application. Now you don’t have to worry about trying to find the perfect music in the perfect length to go with your movie. Just select the style you want, how long you need it to be, and away you go. 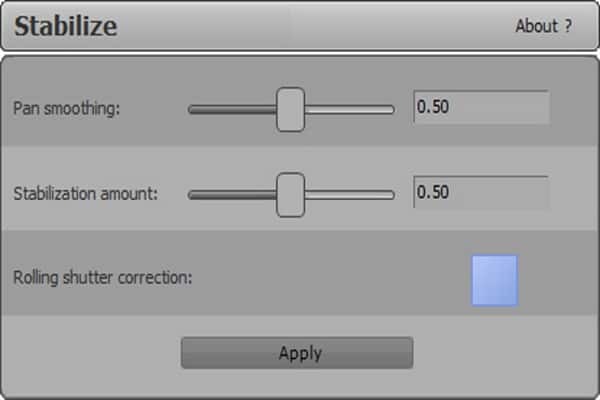 If you do have a perfect song already on hand, just import the track and trim it down to the length you need. 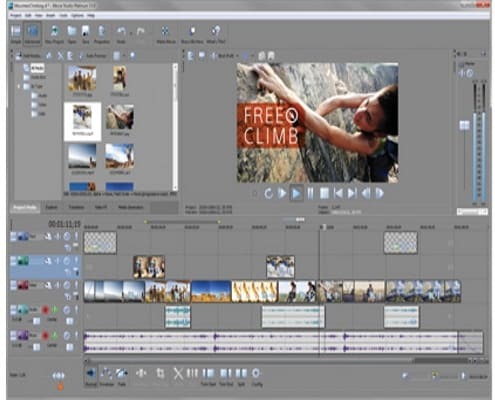 The wide range of export options (DVD, AVCHD, Blu-ray, HD-DVD, SVCD, Flash file, AVI, Windows Media, the various MPEGs, and many others) now include partial export of a project, plus presets for MP3, PlayStation 3, Wii, and Xbox, as well as a new Best Quality option for YouTube uploads. 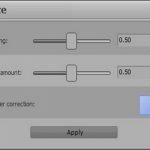 You can also create and record your project at 24 frames per second for more-professional output. 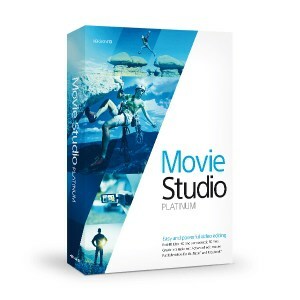 Sony Vegas Movie Studio Platinum is complete and has with an interface that is simple and easy to use, and it’s performance is better than ever, but it’s still not as good as PowerDirector’s with its 64-bit support, we recommended this software if you are looking for professional-looking movies that you can be proud to share, and it’s one of our best Video Editing Software in the market.